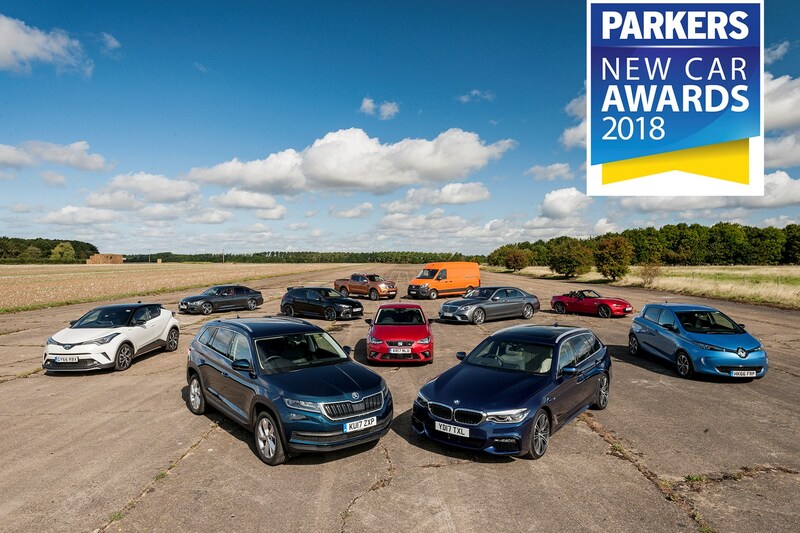 Parkers.co.uk has announced the winners of its inaugural New Car of the Year Awards – and among the categories there are prizes for the Best Van and the Best Pickup. 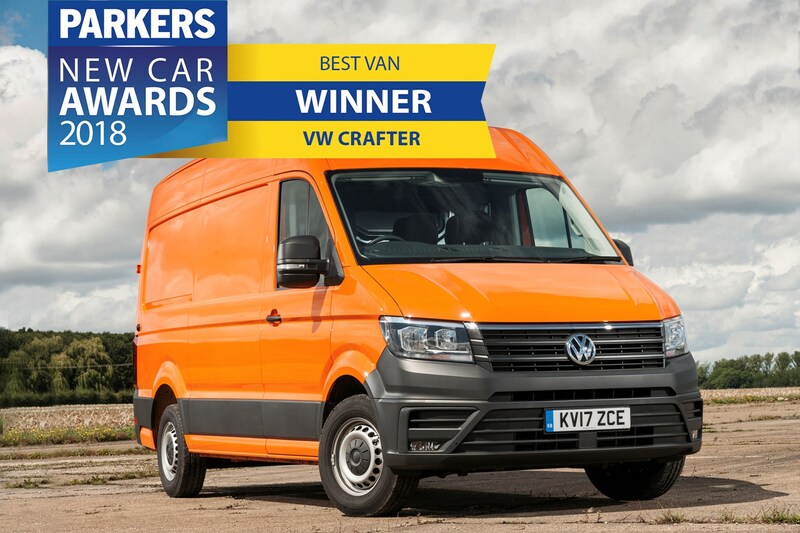 Winner of the Parkers Van of the Year Award 2018 is the latest Volkswagen Crafter. This ultra-modern large van was chosen on the basis that its clean-sheet design represents a genuine step forward compared to existing competitors. The VW Crafter is easy to drive, offers a large, practical and cleverly designed load space, and is available with a number of advanced safety technologies – including autonomous emergency braking, post-collision braking and crosswind assist as standard. It also has what we feel is the most impressive cab environment in the van market – full of user-friendly touches and a substantial contributor to the Crafter’s impressive long-distance comfort. The all-new 2.0-litre TDI engines are also superbly environmentally friendly, particular in terms of their low NOx emissions. You can read more about the VW Crafter in our full review by clicking here. Runners up in the 2018 Parkers Van of the Year category were the innovative Renault Kangoo ZE 33 all-electric small van, and the hugely popular Ford Transit Custom medium van. 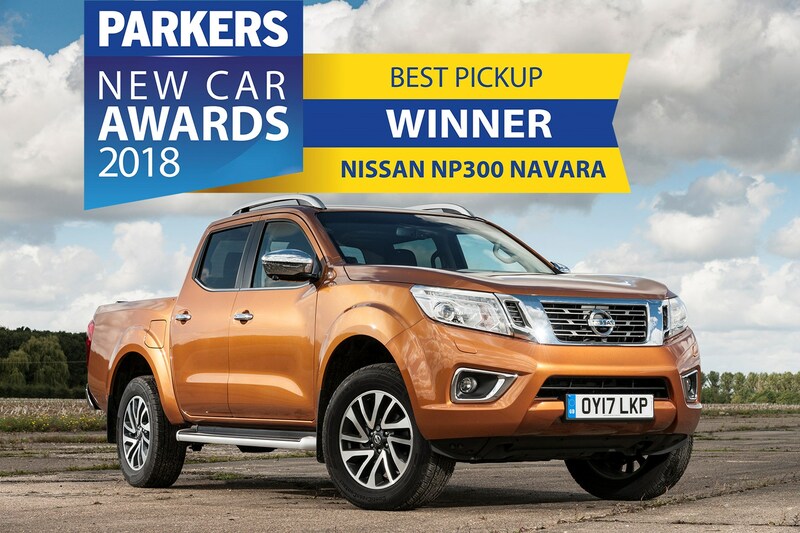 Winner of the Parkers Pickup of the Year 2018 is the Nissan NP300 Navara. The pickup category was particularly closely fought, with a large number of potential winners, all of which offer attributes that may particular suit certain types of owners and operators. But in the end, the Navara won through on its all-round breadth of ability. It combines the sharpest driving experience of any pickup on the market with a smart interior, plenty of strength and powerful engines that offer the best official fuel economy in the segment. The load area is not only generous but available with a number of practical features that set it apart from most rivals, while the towing capacity matches the best in class at a maximum of 3.5 tonnes. On top of this it is both comfortable and refined. A worthy overall winner. Runners up in the 2018 Parkers Pickup of the Year category were the great-value Mitsubishi L200 and the supremely powerful VW Amarok.